In front of the koutoubia, just outside the medina. 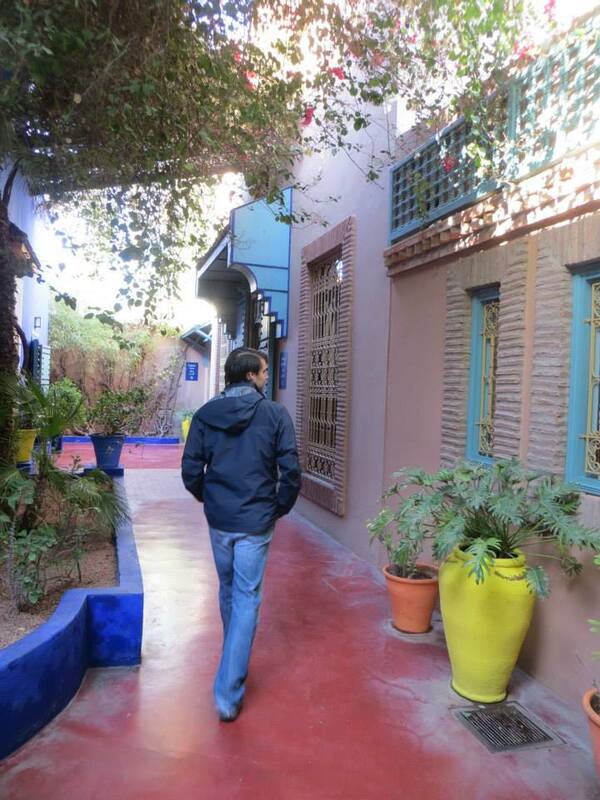 The funniest thing I did in Marrakech–and probably on any international trip–was to get my hair cut. Is that a vain use of time? Going to the salon in Switzerland is twice as expensive as back in the States and it is no secret that Moroccans know their hair. So I thought, win-win. 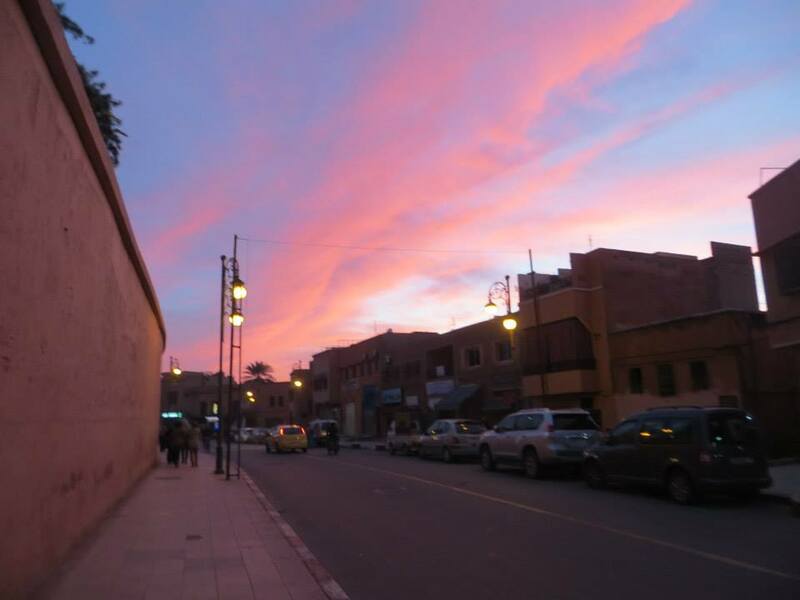 I grabbed a taxi and ventured outside the medina to the Chris Salon where husband and wife team–both named Chris–treated me like a Moroccan princess (did you know the country is still ruled by a royal family?). Their salon is in the swanky, European part of town known as the Guéliz. 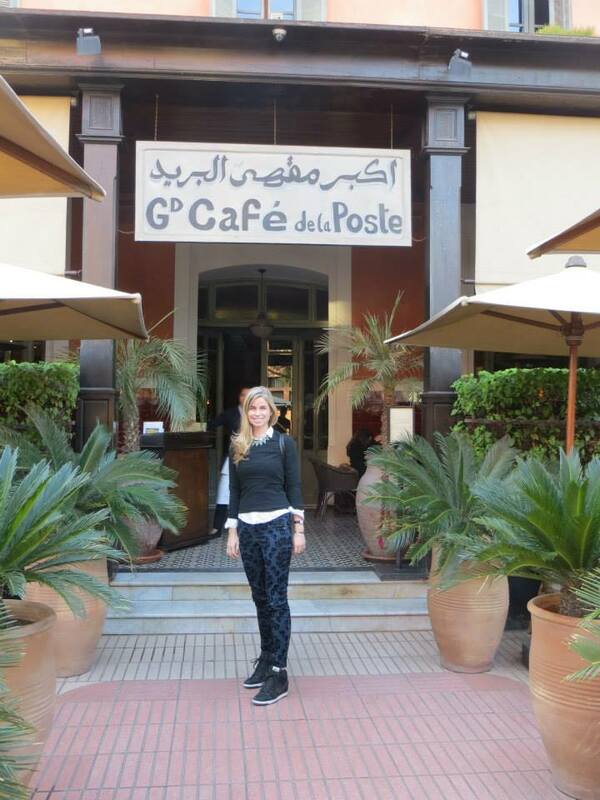 After my haircut, I found my way to the nearby Grand Café de la Poste. From the abundance of palm trees to the bow-tied waiters and checkered floors, I’ve never been closer to “Rick’s Cafe” in Casablanca. 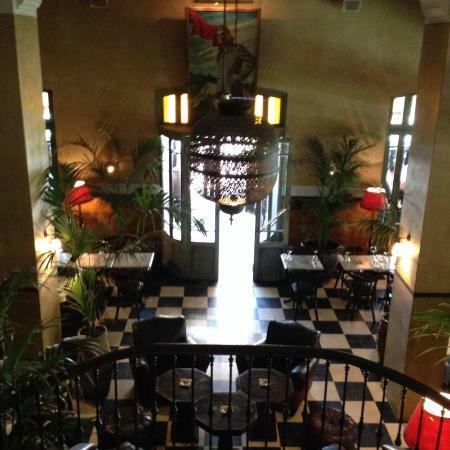 Since 1925, this cafe has been a meeting place for the well-heeled crowd. While I sipped a glass of French rosé and munched on olive crackers, I overheard a Hollywood movie deal being made between two aging, pierced, ponytailed Los Angeleno men. In many ways, I felt closer to California than when I lived in Washington, D.C. Since alcohol is hard to come by inside the medina, the cafe is definitely a destination for those seeking a cocktail. 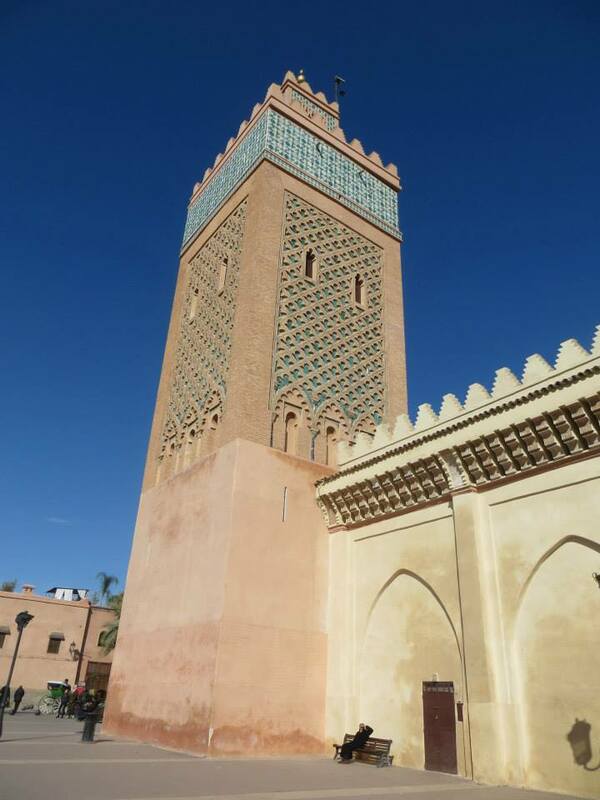 Marrakech is historically Muslim so some traditions remain, but today only half of its residents are practicing. For that reason, I also refrained from wearing shorts or short skirts. 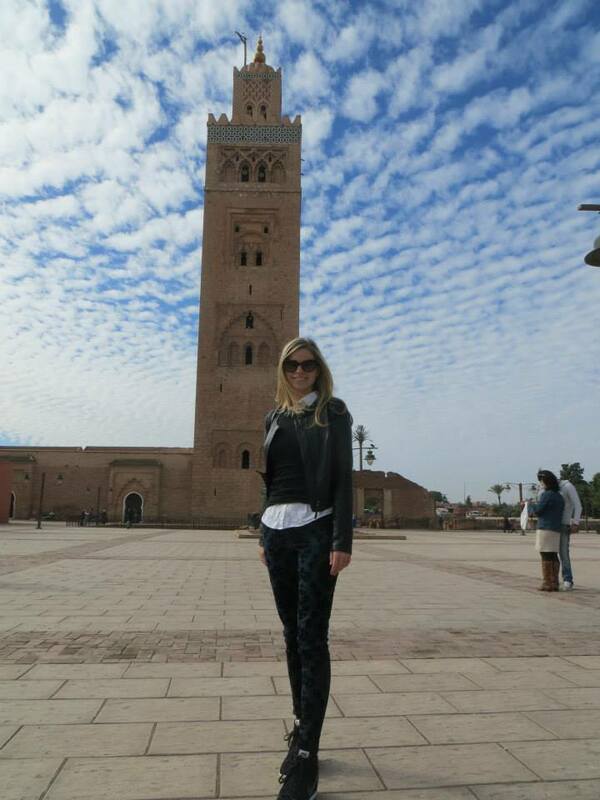 Guidebooks will tell you to feel free to wear anything as a foreigner, but I wanted to respect the local customs–especially inside the medina, where just being blonde garners you plenty of attention. 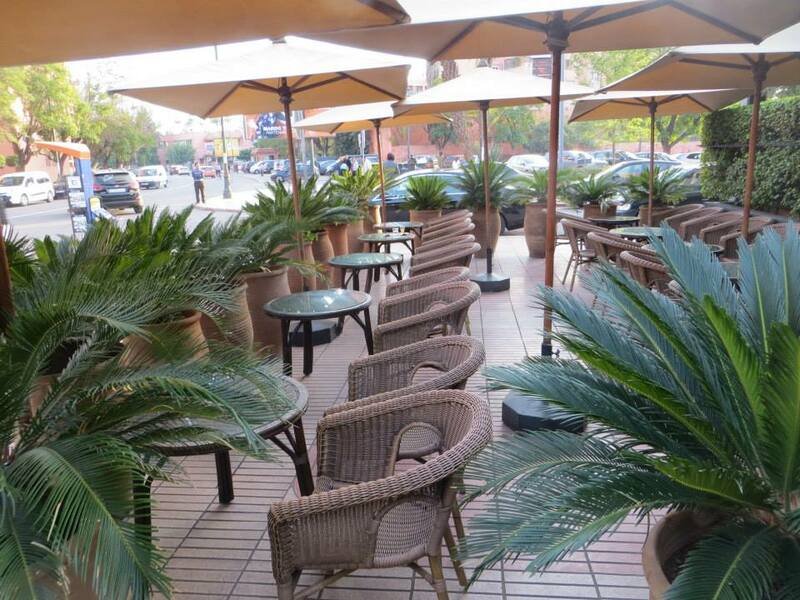 Outside the medina, you will see a wider variety of fashion and people drinking openly. 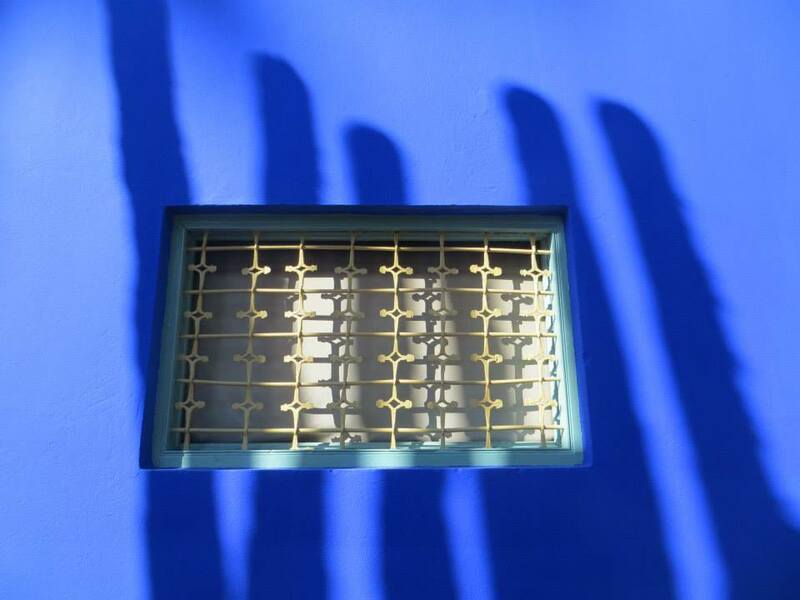 The other destination I had been dreaming of visiting was the Jardin Majorelle— fashion designer Yves Saint Laurent’s last gift to Marrakech. 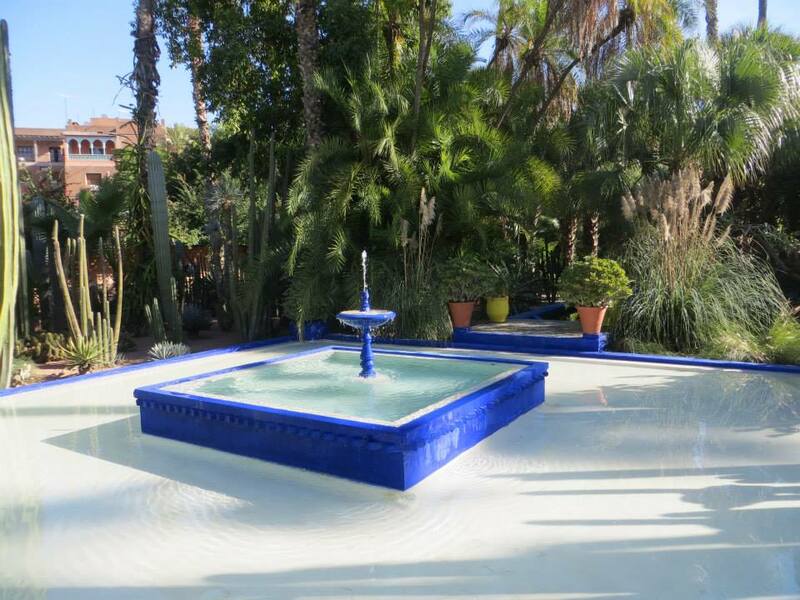 The phrase “oasis in a desert” must have come into use around the time the garden was developed in the 1920’s by artist Jacques Majorelle. 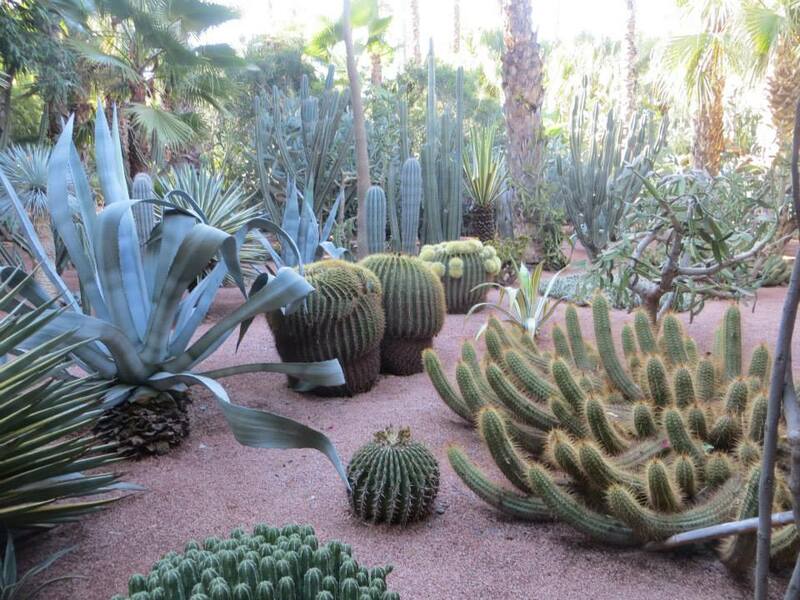 The plants range from prehistoric cacti to delicate bougainvillea. The ever-present electric blue has a cooling effect on the space. 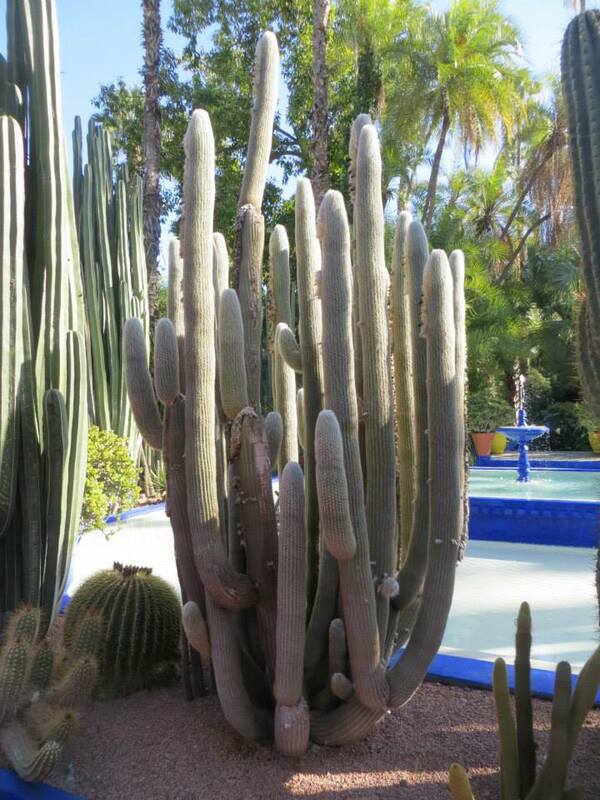 To preserve the garden and keep it open to the public, YSL and his partner Pierre Bergé took ownership in 1980. YSL has a small gallery of art (and a boutique!) in the garden. His ashes were also scattered here in 2008. 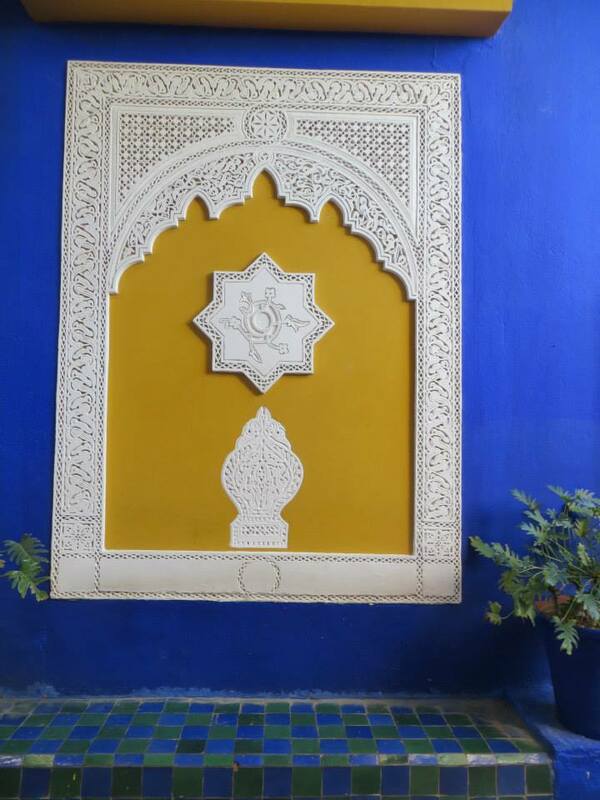 My other recommendation outside the medina would be to visit the ornate Saadian Tombs. On my next Moroccan adventure, I hope to venture way way outside the medina to the desert on camelback. Loved your blog Paige. Just signed up. So interesting. Can’t wait to share with my friends as well. All the best n hugs foo you and Bryce.